Hayley Morison has the enviable job of national brand activation manager for Beam Suntory, which means that she’s often on a jet plane flying around the country heading to the next trade event that Beam Suntory has put on for bartenders. It also means that she’s clued in to each city’s scene around the country, and gets to champion the most talented bartenders in each state. 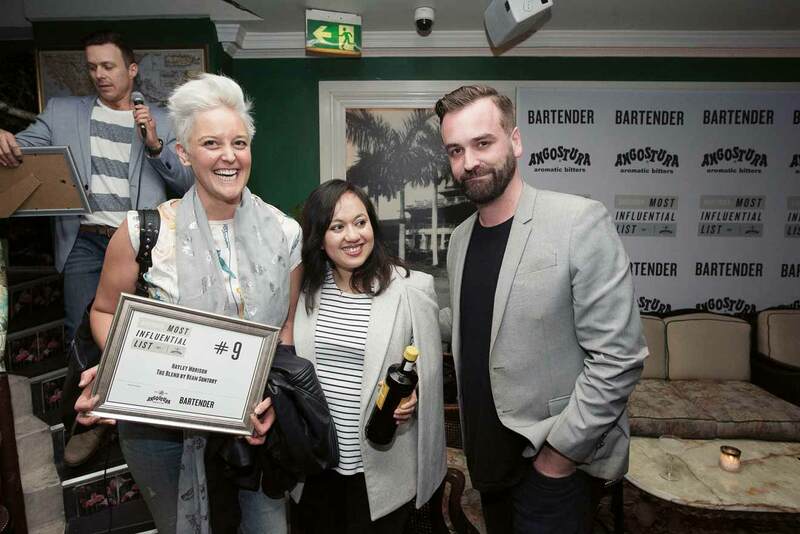 2017 saw Morison crack the Top 10 of the Bartender Magazine Most Influential List sponsored by Angostura aromatic bitters for the first time, landing at number nine. See below for the trends that Morison thinks we’ll see in the coming year, and for who she thinks are the talents to look out for in 2018. I definitely hope we see growth in minimal waste practices and how venues will adopt such methods. Not only to being attractive to the venues’ bottom line, but to be kind to the environment. In addition to this, also bartenders sharing these practices among the community to create awareness of how easy it is. We throw out so much produce, it’s frightening. I would like to see the Highball resurgence. This is such a common practice in Japan with food, and it’s such a simple and deliciously refreshing drink. Plus blended drinks. Everything in liquid form should be blended, in my eyes. Literally nothing to do with hospo, would be to simply create an app where people can rent out their houses as forms of accommodation for travellers, and people looking for alternatives to hotels. Imagine creating Air BnB! Such a simple idea! I would be a gazillionaire by now and on some yacht travelling the globe. Aidan Beiers and Ollie Margan are two guys killing it in my personal opinion. Owning venues at such a young age and making such a presence in the market in their own unique way. Hands down to them, and we will continue to support them on their journey. Both so humble, knowledgeable and dedicated to the industry. But one to watch out for is Luke Whearty. (Not next generation, however the stuff he is doing is pretty next generation). That guy has flavour combinations I’ve never seen or heard about, and honestly his last takeover at Scout in London, the flavours left me speechless. Can’t wait to see his new venture with his partner. Those two will kill it. Ha! I lied on my resume stating I had previous experience. It clearly showed on my first night that I didn’t. It was a Hotel bar in Sydney I will not name. First group of customers I served I spilt the entire tray of champagne on this woman, wearing a white dress. Let’s just say the boss knew then I hadn’t any prior experience. Good thing now we laugh about it, and he is still one of my closest friends. It was in London I gained most of my bar, cocktail and back of house experience. I was fortunate enough to be managing a venue at the age of 19, and a team of 25. Lots of responsibility, but I learnt so much, and still friends with the team from 11 years ago.